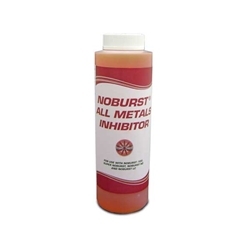 • Reduces the rate of corrosion and helps prevent scale formation on heat exchanger surfaces. • Safe on all metal systems (including aluminum). • Can be used with water only systems. • Compatible with PEX and ONIX tubing used in hydronic installations. • Use one gallon to every 50 gallons of system capacity.